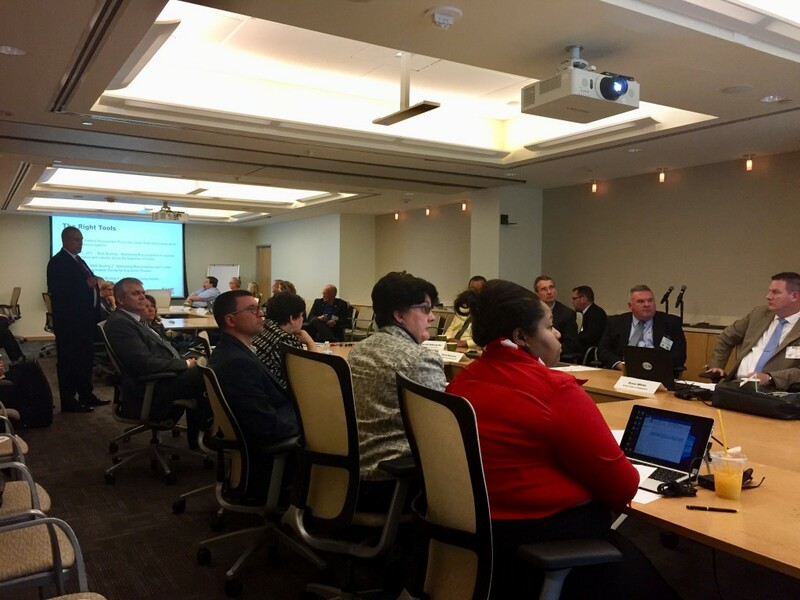 Twenty-two federal owners came together May 8 for a day of discussion and creative problem-solving at the annual Federal Owners Forum. With twice the number of participants as in years past, the owners from 13 different agencies represented a cross-section of federal agencies and defense services. That made for very dynamic discussion throughout the day. 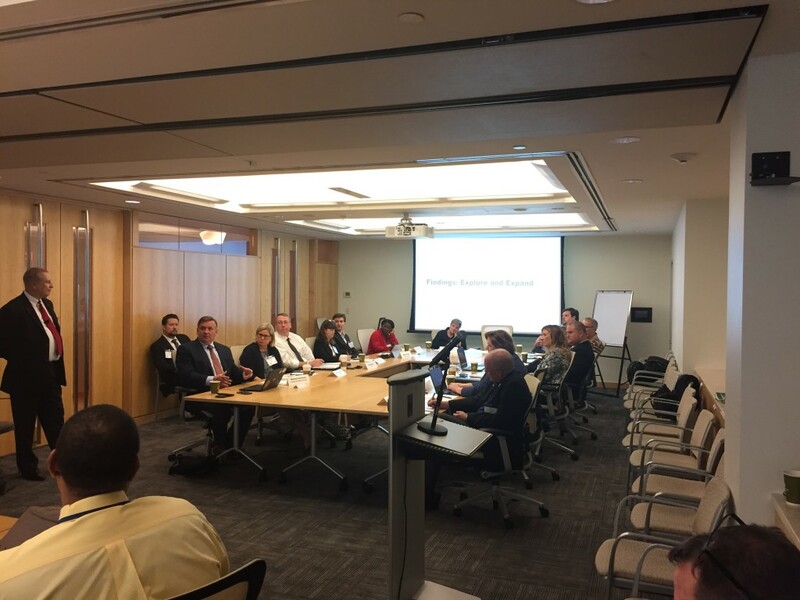 The Federal Owners Forum is “a day of thinking outside-the-box, to challenge accepted practices and to work together to improve federal project delivery” according to Louis Jenny, Vice President of DBIA’s Advocacy & Outreach Department. The day’s events included full group discussions, a review of the past forums, and multiple small group discussions that gave each owner a chance to voice their opinions. “The simple concept of the Federal Owners Forum is to bring officials and construction disciplines together from across federal agencies to discuss, debate and to identify challenges and opportunities,” Jenny said. It is a unique opportunity for owners to come together and spend an entire day discussing the present and strategizing for the future. Gathering key decision makers together, with their variety of experiences and perspectives, provided a unique opportunity to brainstorm solutions to federal project delivery challenges. The 2018 Federal Owners Forum report will highlight some of their suggestions and proposals for the future. Initial feedback from this year’s participants has been extremely positive. The ability to engage agency leads, procurement professionals and legal representatives ensured that views from all stages of federal project delivery were included and difficult issues addressed. Be on the lookout for the official summary report from the 2018 Federal Owners Forum, due out in the summer of 2018. You can read the 2016 and 2017 reports on our website.